Kids are clear cut in their tastes and preferences for food items. If they say “yes”…it means “yes, they can eat some of it”(unless it’s chips, chocolate, fries and all things nice). And if they say “no”, it definitely means a “no”, no matter how much you beg or blaze. No amount of coaxing or blackmailing could deter their decision. If ever you had to pack something against their wish, then be prepared for a packed lunch box returning home. 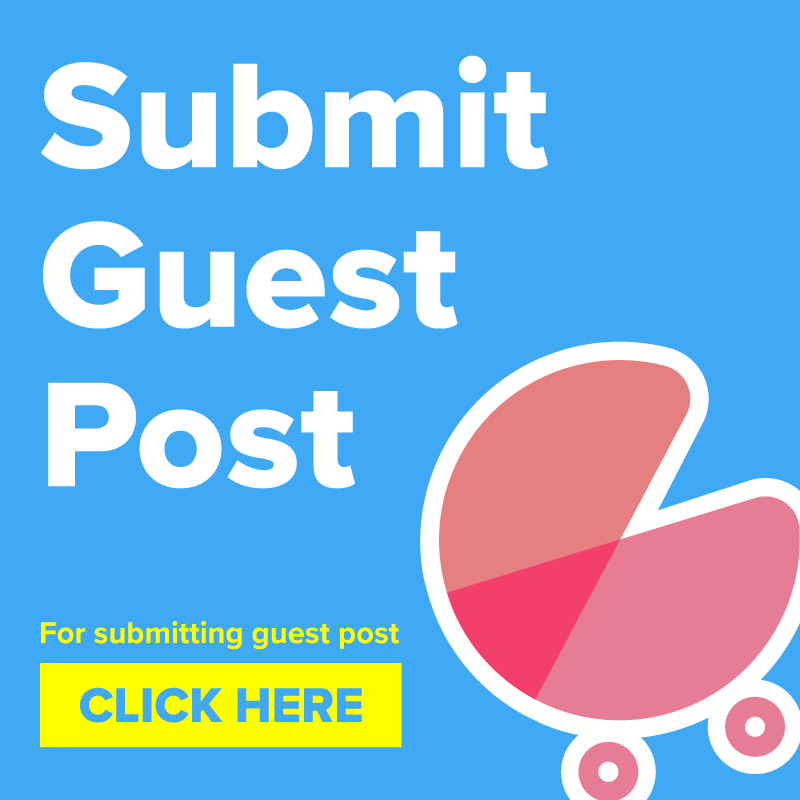 Finding ideas for kid’s lunch box could be a challenging task for us mums. We are keen on perfect nutrition in their diet, for obvious reasons. 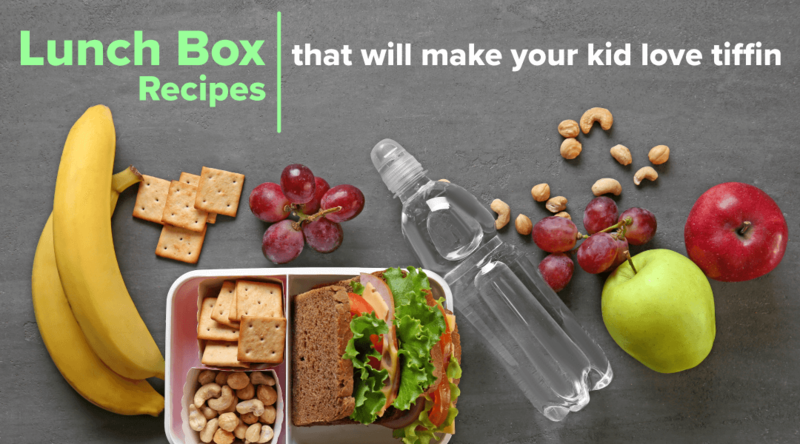 We are here to help you with some amazing lunch box recipes which will make your kid smile. We know that a child’s diet should consist of foods rich in Vitamins, Minerals, Proteins, Antioxidants and Carbohydrates. Therefore, packing the “perfect lunch box” for your child is probably one of the most challenging tasks. This recipe is a fantastic way to include good quality proteins in your child’s meals. Top it with paneer, tofu, mushrooms or baby corn to add a dash of colour & excitement to it. Wash the moong dal twice, till the water comes out clean. Leave it soaked aside for 2 hours. Grind the moong dal in a food processor to make a fine paste, let the consistency be an idli batter. Then add all the spices, oil and fresh herbs to the batter and mix well. The topping ingredients need to be sauté on low flame in a separate non-stick pan and kept aside. Heat a nonstick pan and pour 1 tbsp of oil, gently swirl the tawa so that the oil spreads on the pan. Pour 2 tbsp of the prepared batter into the pan and spread it into a circular shape from the centre onwards. Then flip in on the other side too till it is golden. Remove immediately from pan and garnish with the above-prepared toppings mixture. Moong dal chila is ready to be served. In a sauté pan, heat the olive oil over medium flame and sauté onions with a pinch of salt for 4-5 minutes. Add garlic, and stir for 1 minute. Put it into a bowl. Add 1 tbsp of oil to the pan, add the mushrooms and salt – till the water in the mushrooms water gets absorbed. Reduce the heat to medium and continue to cook till the mushrooms turn deep golden brown. Put the mushrooms mixture into the bowl with onions mixture; let it cool for a few minutes. Heat some butter in the pan with garlic and toast the buns lightly. Now in the food processor add the tomatoes, lentils and mushroom-onion mix. Remember not to puree it. Add salt, black and white pepper. Coat the patties with breadcrumbs. 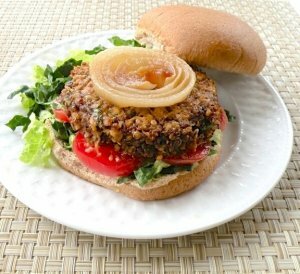 Place a lettuce leaf, tomato slice and some slice of onions on each of the buns. Place the patties and cover it with the other half of the bun. Toast it slightly on both sides by applying butter on a roti tawa. These vegetable rolls are an excellent option to pack for lunch box as they keep good for a long time. The slightly tangy and sweet flavour makes it more inviting than ever. When your child cribs about Roti, Dal & Rice, recipes like these come to your rescue. Cook the oats as usual. Heat oil in a pan. Add cumin seeds and let them crackle. Add carrot, onion, salt, black pepper powder and cover and cook for 3-4 minutes. 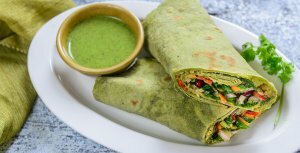 Keep a spinach tortilla on a plate. Spread some oats on top. Keep some vegetable filling in the centre and make a tight roll. Serve hot with any dip of your choice. 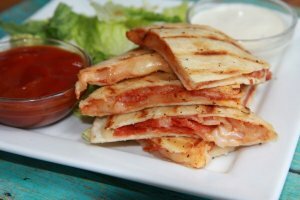 Try these yummy pizza quesadillas dipping in cheese sauce. They are sure to get the tongues rolling and smiles even wider. 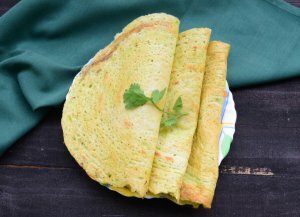 These simple to make quesadillas are a sure hit with the young and the elder ones too, the look of these quesadillas are quite interesting and colourful. 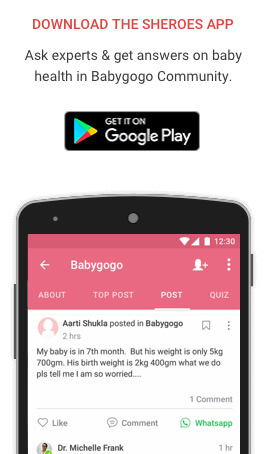 Master this & you will rank up to be the most popular mommy at school. Stir together melted butter, garlic, Italian seasoning and grated parmesan cheese. Heat a pan; grease the tortilla with butter and place butter side on the grill pan. All kids are different; they have different tastes. Some like to eat only rice as it is easy to chew and digest too. So that the plate is finished and they can get back to their play. While you might gauge how to provide a well-balanced diet, you should make food more colourful by adding veggies like carrots, spring onions, cabbage, garlic and beans too. This delicacy is a sure hit with the kids’ hands down, plus it also tastes good even after a couple of hours too. 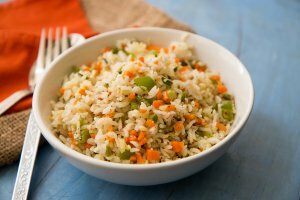 Prepare the rice, not fully cooked as it should not get smashed while preparing. Remove from flame and then garnish it with ½ tsp of pepper powder and spring onions. Tasty fried rice is ready to be packed. Put along 2 sachets of tomato sauce with it. 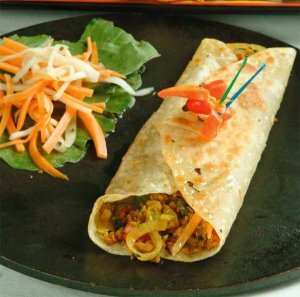 Kathi rolls are one of the most common street foods which are a favourite amongst all. It is easy to make and does not require much kneading too, unlike stuffed parathas. You can easily blend in any variety of vegetables into the filling; adding spices & veggies to your taste. And the rolls are made of whole wheat; so rest assured it is a double bonanza for mums and kids too! Add the finely chopped vegetables and fry it on medium flame, till it gets half cooked; keeping in mind that the vegetables should remain crunchy and not become soggy. Keep it aside to cool for a few minutes. Take the roti and gently smear schezwan sauce or tomato sauce evenly on the rotis, including the sides of the roti. Place the veggies to one side. Fold on one side of the roll, and gently close the other side too, packing the roll from all sides. A toothpick could help you in sealing the edges of the roti, to ensure that the sides do not open. You can cut it into two halves, and serve it with pudina chutney or tomato sauce. If you are a vegetarian, then Paneer is one of the best sources of protein for you. It is beneficial for bones, teeth, weight loss, hair and skin too. So here is one recipe which could make your kids go crazy for paneer, and to your delight, it is quite a simple recipe too. Take the bread and cut off the brown edges. Take a kadai and add oil; then add cumin seeds and wait until it becomes golden brown. Then add the garlic paste and sauté it for 2 minutes on high flame. Add the crumbled paneer, green peas and the dry spices along with coriander leaves for garnishing. Make a thin paste of cornflour and apply it on the bread and flatten the bread gently with a rolling pin or a chapatti flour. Divide the prepared filling mixture into 6 portions. Place one portion on the flattened bread, and roll it from all sides to ensure that it is fully packed. Corn flour paste could be applied on the sides to seal the sides and make it safe. 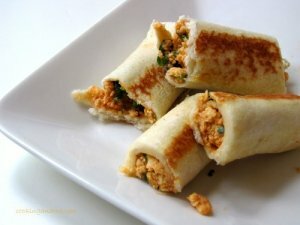 Shallow fry the Bread Paneer rolls until golden brown in colour. Or you could bake it in the oven for 10-15 minutes at 150°C. Bread rolls are ready to be served. So which of these Amazing Lunch Box Recipes For Kids did you love the most? Let us know what’s your child’s hot favourite.